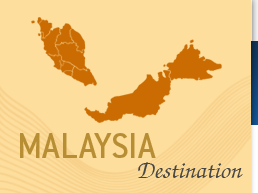 Malaysia has opened its doors and what lies beyond are perfect beaches, captivating scenery and friendly people. Colonial history is alive in many of the towns and cities and Malaysia has countless temples and churches reflecting Malaysia’s rich cultural heritage, quiet tea plantations blanket the cool highlands and stunning national parks are abundant with birds and wildlife. The ever-evolving capital Kuala Lumpur offers great shopping and dinning yet retains the charm of another era evident in its domes, mosques and Moorish architecture. A tailor made tour to Malaysia would not be complete without a few days on one of its superb beaches such as Langkawi or the tranquil islands, poised between virgin jungle and clear coral-filled waters. In addition to the well-known resorts of Penang and Langkawi, try visiting the East Coast with little gems such as the island of Redang or further down Tioman. Why not take a tailor made make your tour or join a group tour to include Malaysian Borneo a must see with both Sabah and Sarawak offering a wide range of nature, birds and wildlife.